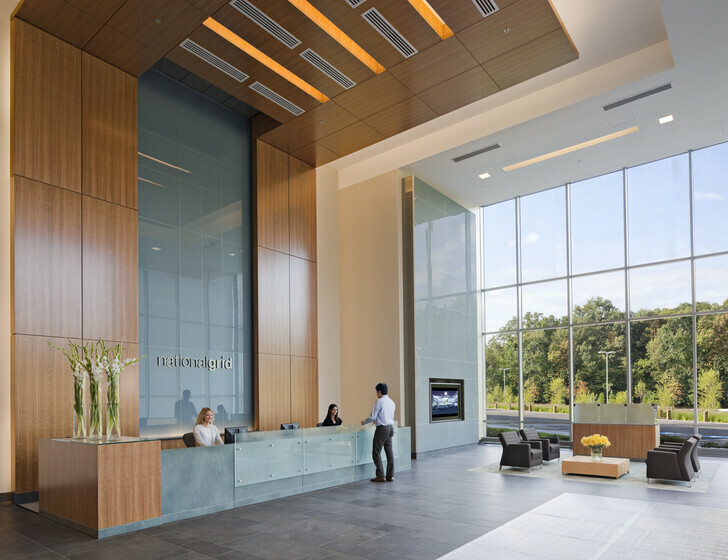 National Grid’s new US corporate headquarters in Waltham, MA, from its outset, aimed to demonstrate leadership in environmental design. In collaboration with this mission, Atelier Ten designed the lighting to closely integrate with available daylight, overall using less than 0.55 watts per square foot. For this fast paced project, Atelier Ten designed an exceptionally energy efficient lighting system for the base building and the corporate interior fit-out. 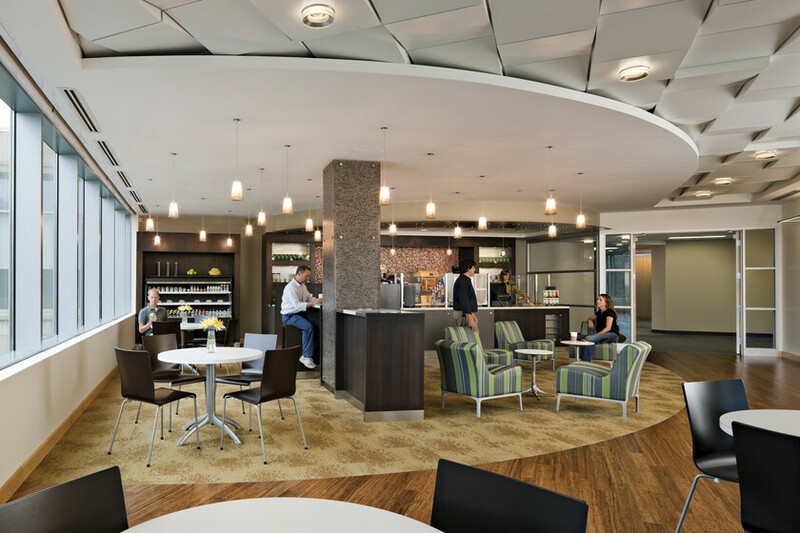 The 3-story, mostly glass office building allows in a great deal of generous, carefully controlled daylight. 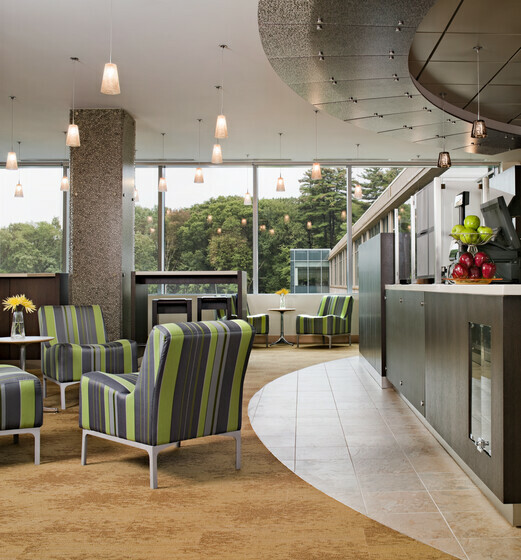 Atelier Ten was able to greatly reduce lighting energy use through careful design and daylight responsive lighting controls. 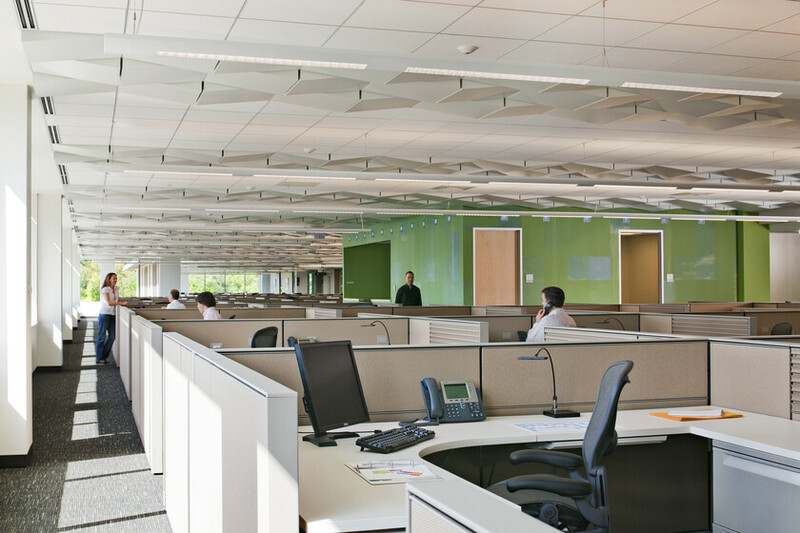 Supplemental LED task lights with individual occupancy sensors provide additional lighting when needed. The lighting works in concert with the architectural ceiling panel design to give a lively sense of rhythm to the spaces. 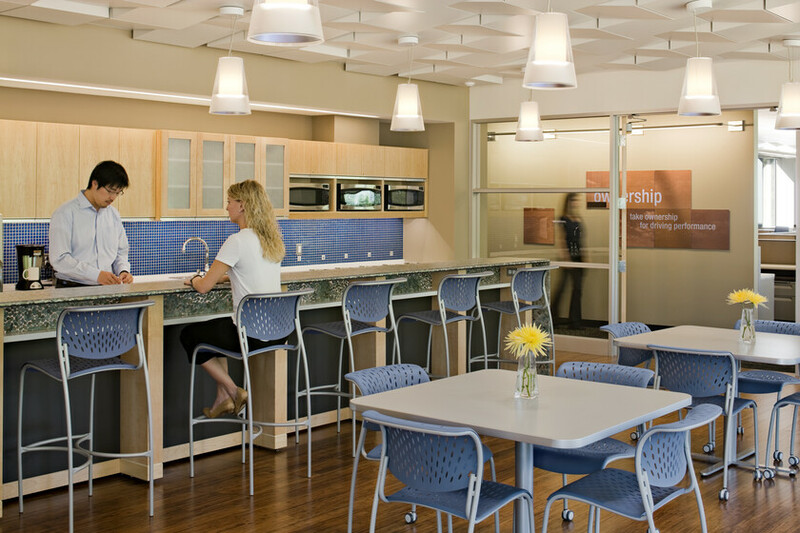 Individual office spaces use a task/ambient lighting approach, using personal occupancy sensors for under cabinet LED lights to further reduce lighting loads.